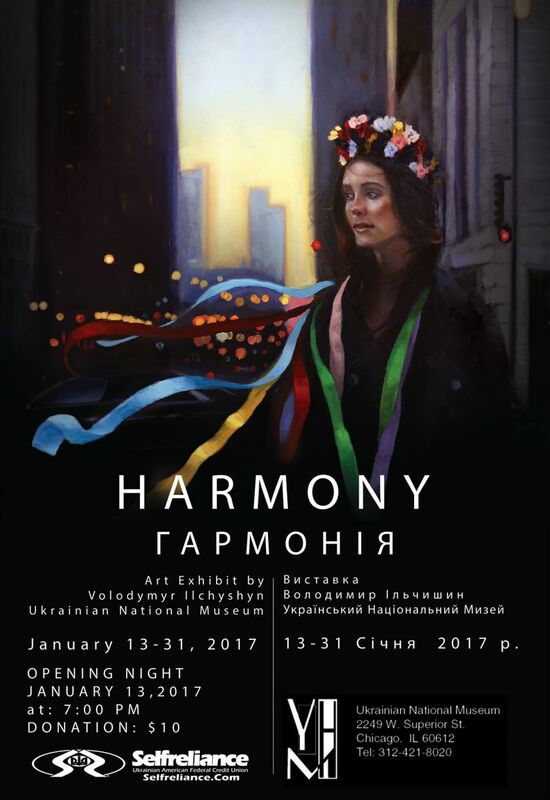 Opening reception “Harmony” on Friday, January 13, 2017 at 7 pm, $10.00 admission. The Ukrainian National Museum invites you for Volodymyr Ilchyshyn’s 3rd exhibit filled with character and harmony. 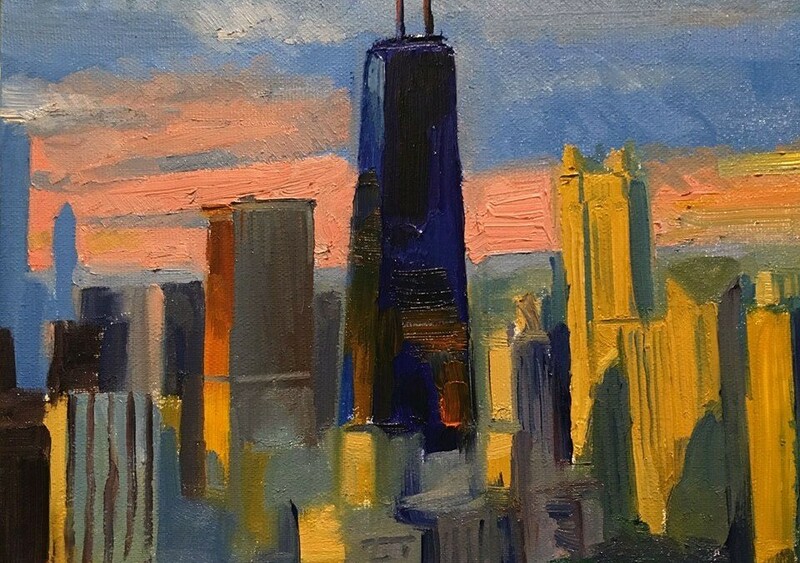 His works are inspired by the daily metropolitan life, mixed with deep Ukrainian culture which the Chicago Ukrainian community is very well known for. This exhibit continues through February 5, 2017. Born in Ukraine but raised in Chicago, Volodymyr is a young artist who is an energetic member of the Ukrainian Village community. He is a multi-talented young man; an active member of the American Ukrainian Youth Assn., a dancer with the Hromovytsia Ukrainian Dance Ensemble and a talented and developing young artist. Volodymyr recently graduated this December from Illinois Institute of Technology, College of Architecture. Bringing innovative and original ideas to their work, young artists remind us that Ukrainian culture lives on in them. It is important for these new emerging talents to be supported in a culture that strives to maintain their traditions with each new generation. The Ukrainian National Museum hopes to provide that environment and deepen its relations with the youth of the community for future endeavors.